What’s not to like about summer? The sun’s out, everyone’s in a good mood, it’s warm, and you’re comfortable in a T-shirt and shorts. Pause at this point and spare a thought for our canine companions. Unfortunately, they don’t have the option to shed a layer, and even in the midsummer heat are stuck wearing a nose to tail fur coat. All of which means it’s easier than you might suppose for a dog to suffer from heatstroke. Heatstroke isn’t just distressing, it can kill. When you’re enjoying yourself in the sun, take a minute to think “dog” and check your dog is comfortable and safe. 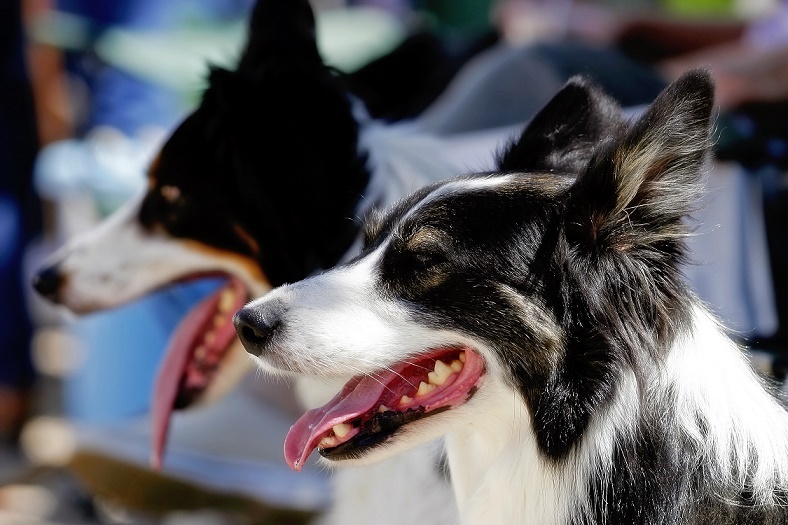 Factors guaranteed to have your dog’s temperature climbing include being in the full sun, exercising in the heat, no access to water, and lack of a breeze or wind. Never underestimate the heat. Sometimes it only takes a moderately hot day, combined with a walk in the full sun, to push a dog over the edge into heat distress. Knowing the signs and being vigilant allows you to take immediate action to cool your dog. Unfortunately, some dogs do need hospitalization for treatment with cold intravenous fluids and cold water enemas to bring their temperature down. Heat stroke is largely preventable with a few simple common sense precautions. Think before going out in the heat, and never exercise your dog (no matter how fit they are) in the hottest part of the day.